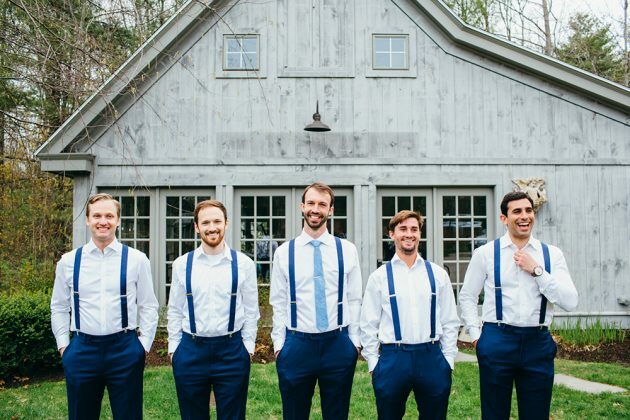 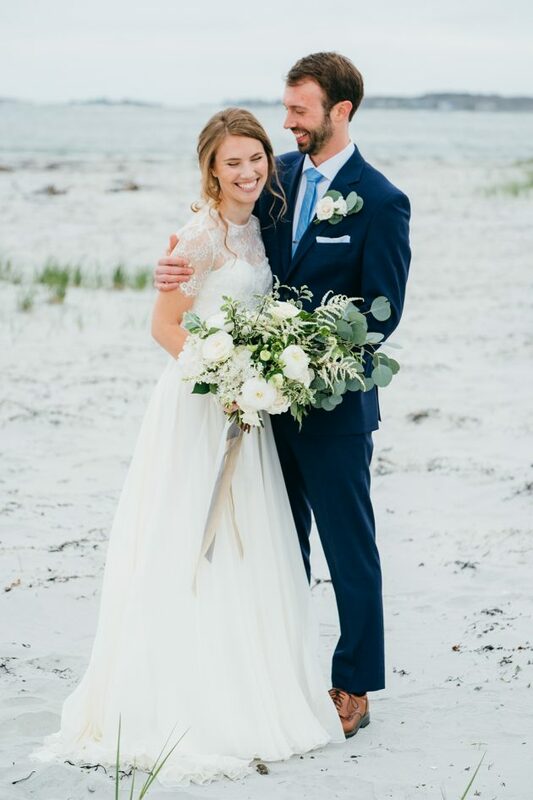 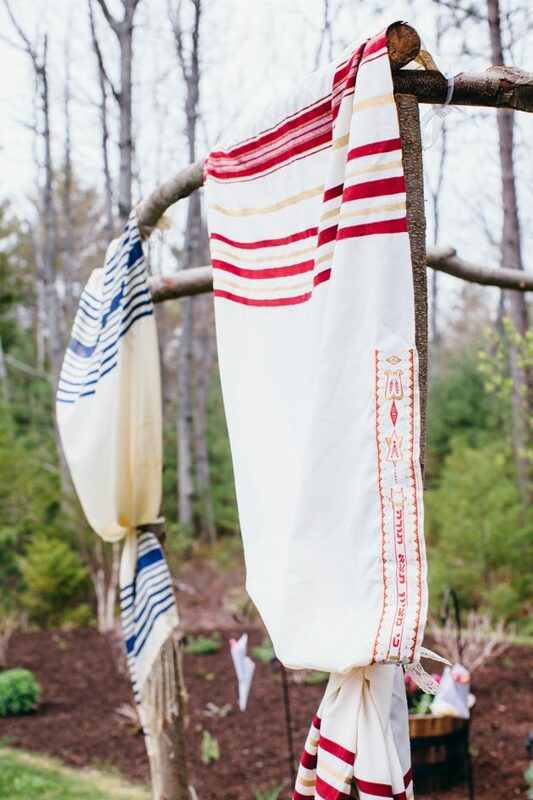 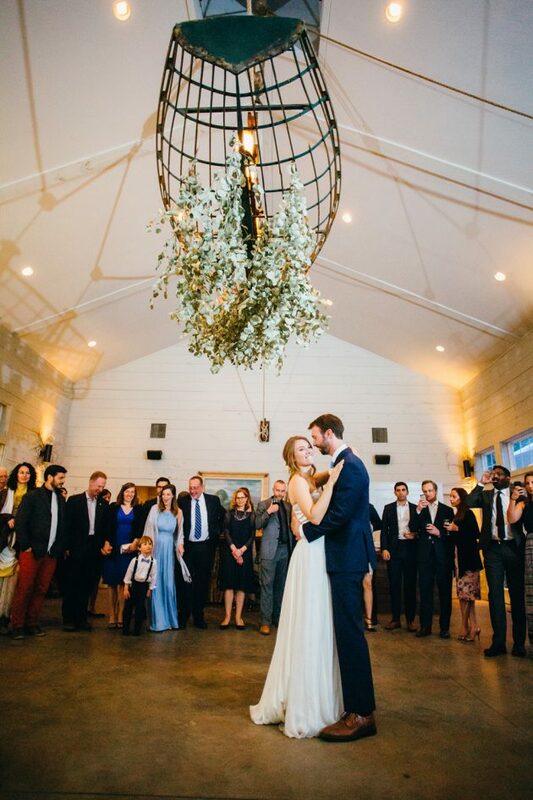 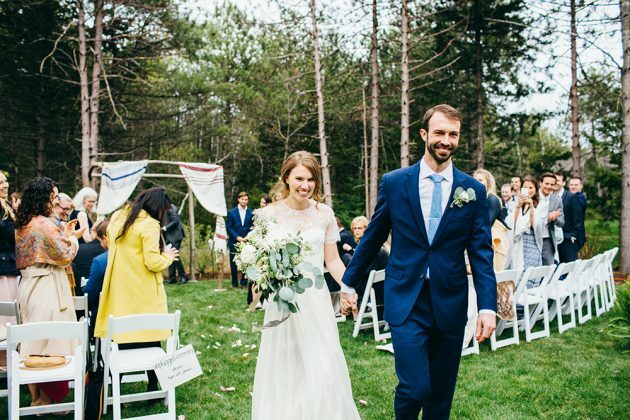 Leah and Alex wanted to create an entire weekend experience for the guests at their wedding at Hidden Pond in Maine, and many of them stayed in cabins alongside the couple. 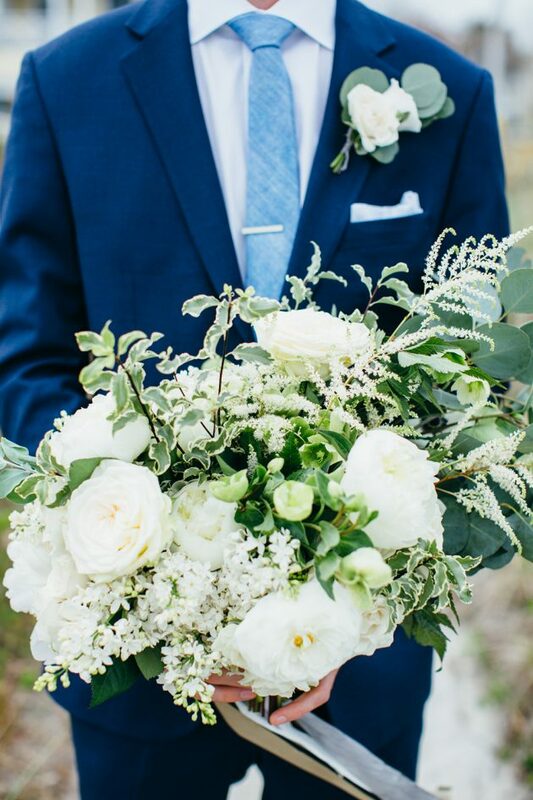 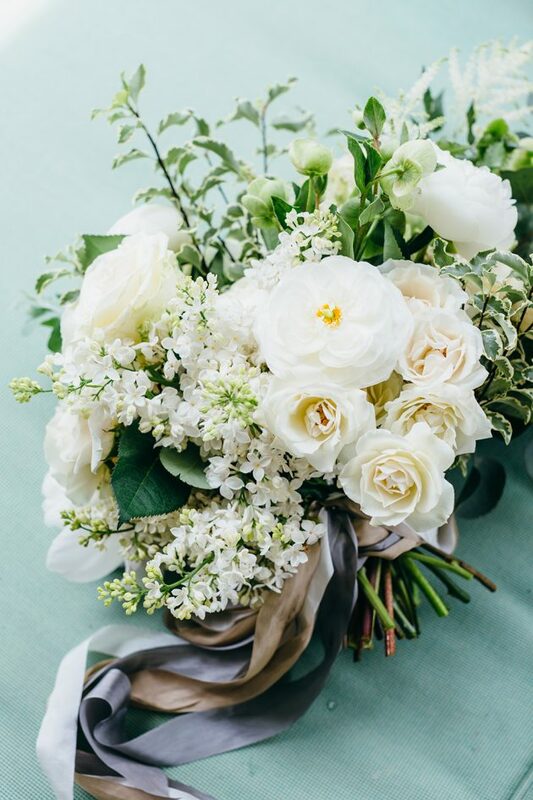 Watershed Floral paired white florals with eucalyptus and other greenery to create classically simple elegance in the bouquets and tablescapes. 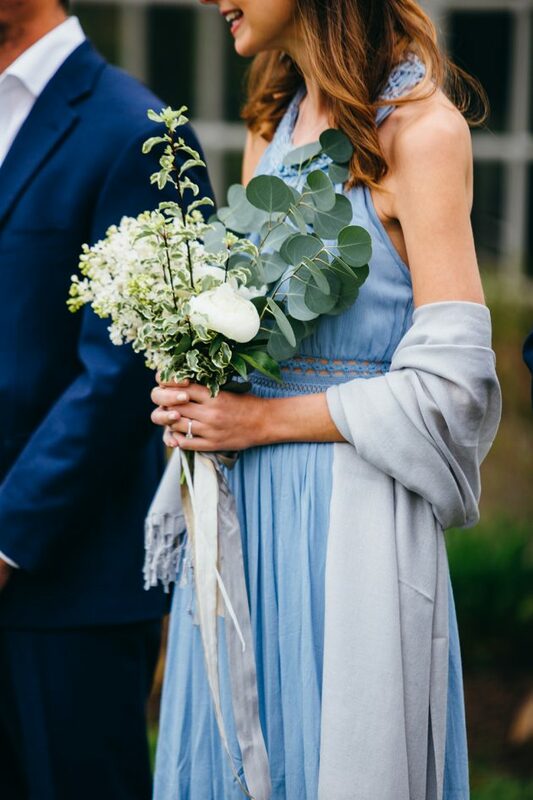 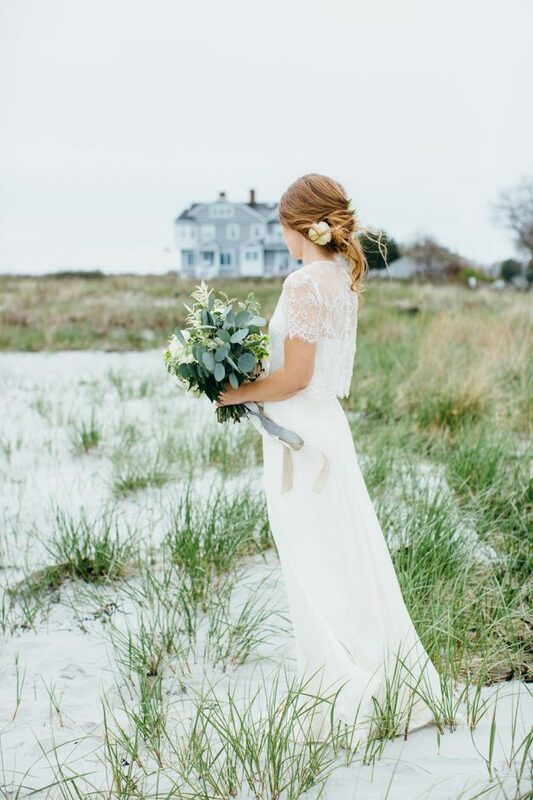 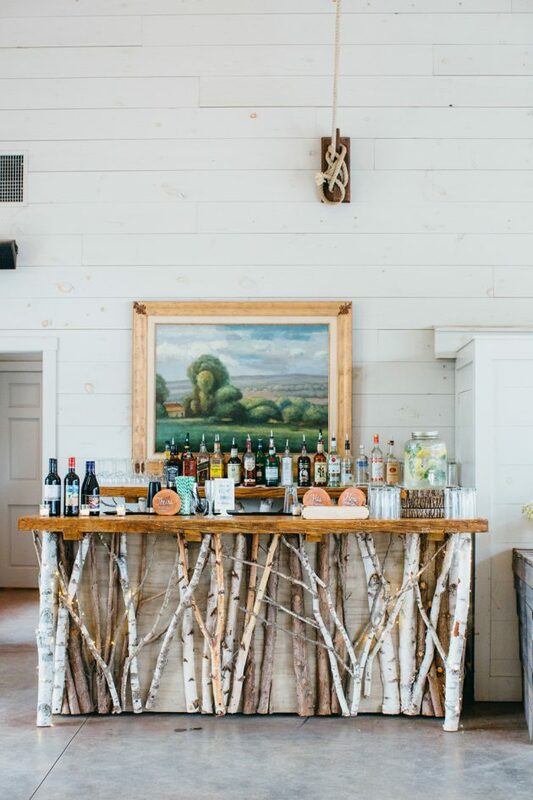 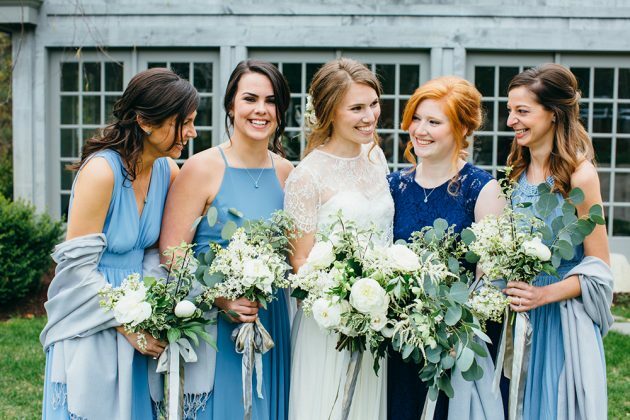 Grey Collective Member SHE Luxe Weddings and Design coordinated all the lovely details, and Rachel Buckley Weddings was on hand to capture every perfect element of Leah and Alex’s New England celebration. 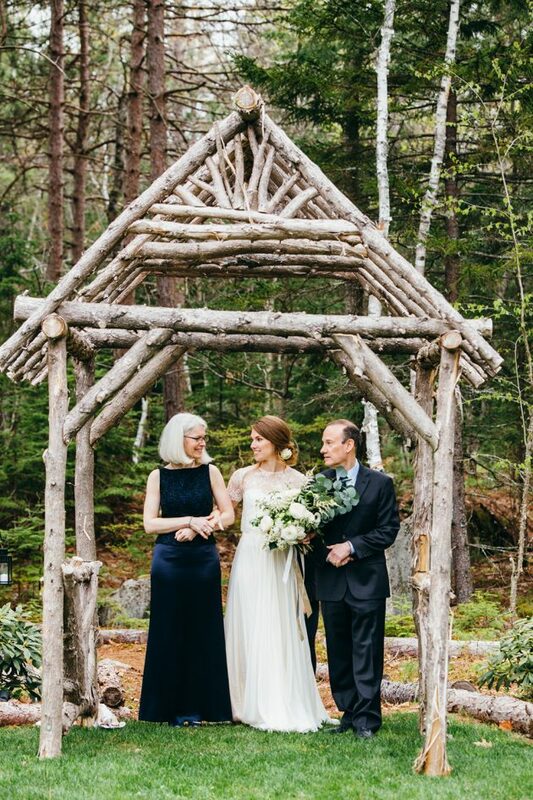 This early spring, a picture perfect wedding was held at one of Maine’s hidden gems, suitably named, Hidden Pond. 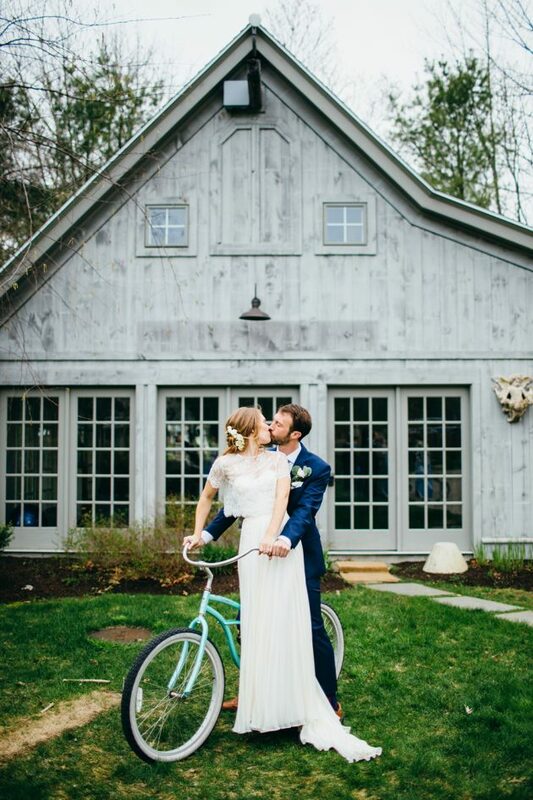 Leah and Alex designed their day around amazing locally sourced food, cool cocktails, and natural greenery and their surroundings. 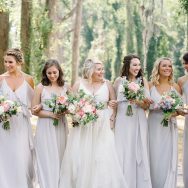 They chose to create a long weekend experience for their closest family and friends with many guests staying right at the resort in fully appointed cabins alongside the couple. 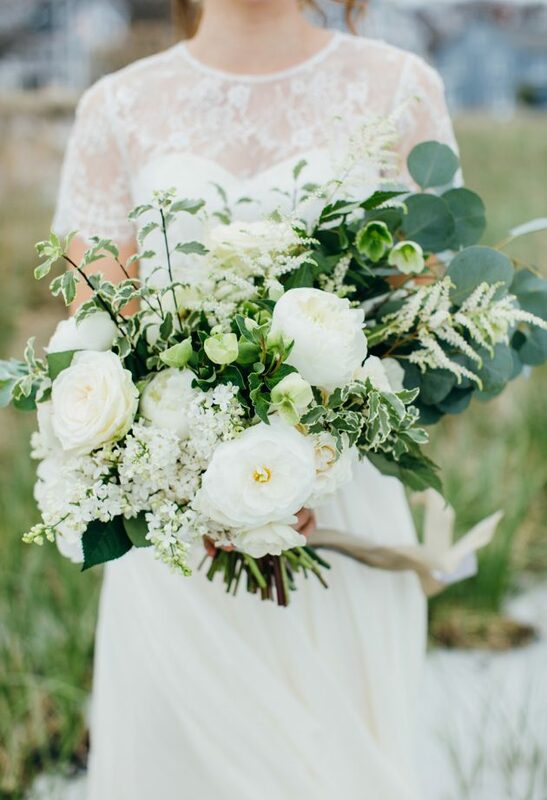 Leah opted for classic simplicity when choosing her all white and green floral bouquet and her romantic BHLDN gown. 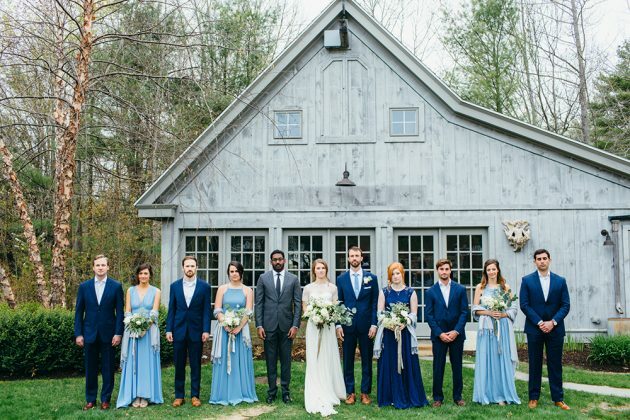 The ladies and gents added that right pop of color for the day adorning themselves in various shades of blue. 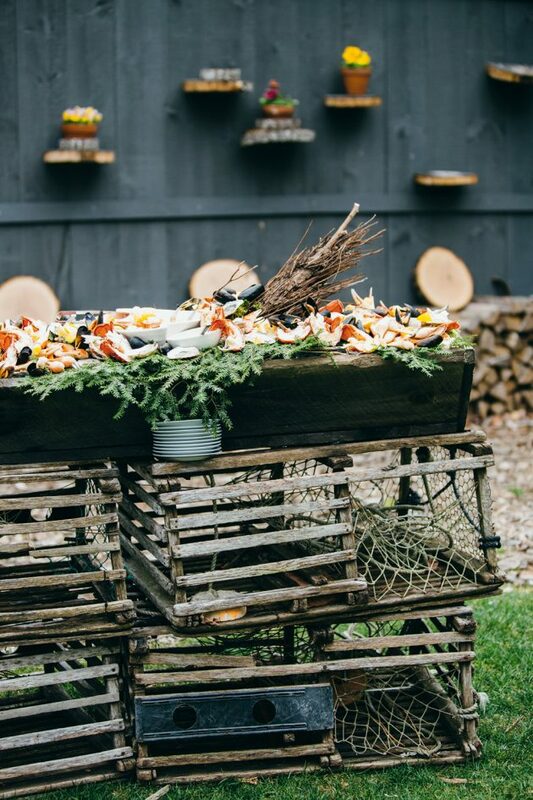 As with many intimate style gatherings, incredible food takes precedence and Earth at Hidden Pond’s farm to fork menu items did not disappoint. 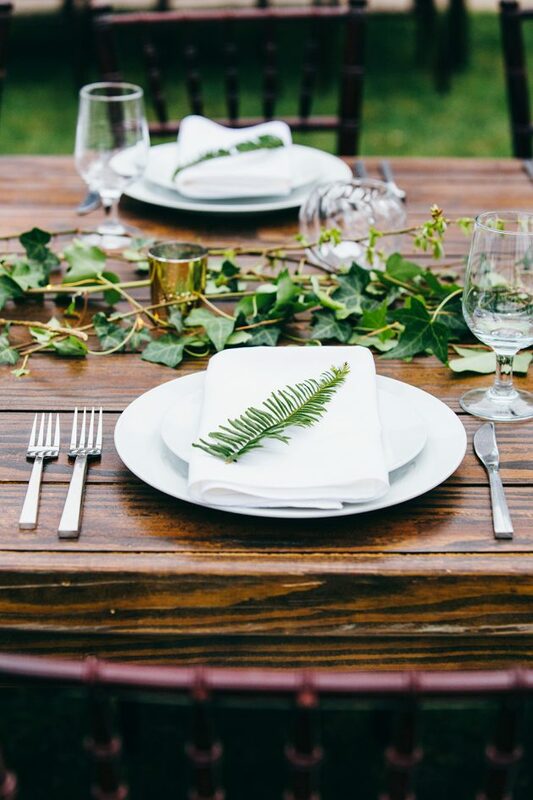 Guests were seated at long farm-style tables, and family style plates were passed while guests watched the sunset through their gently lit clear frame tent. 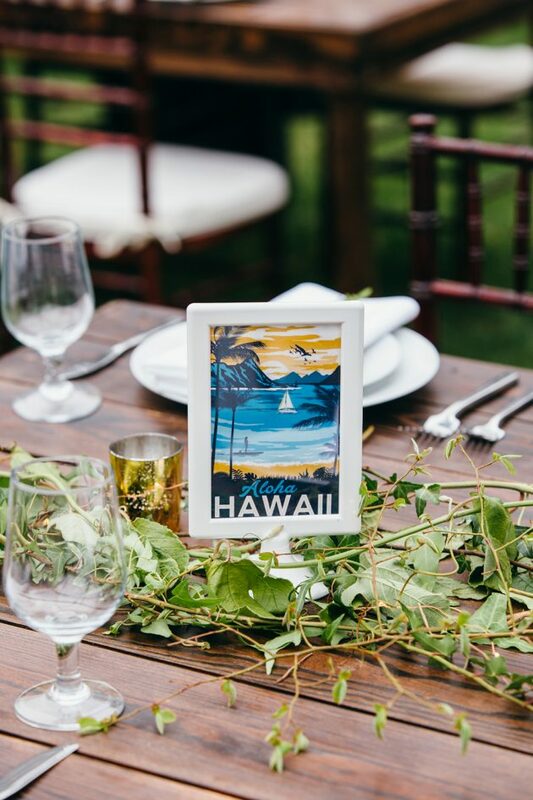 Each table paid homage to all the travel adventures Leah and Alex had been on together, including Tanzania where Alex proposed while Leah was getting her PhD. 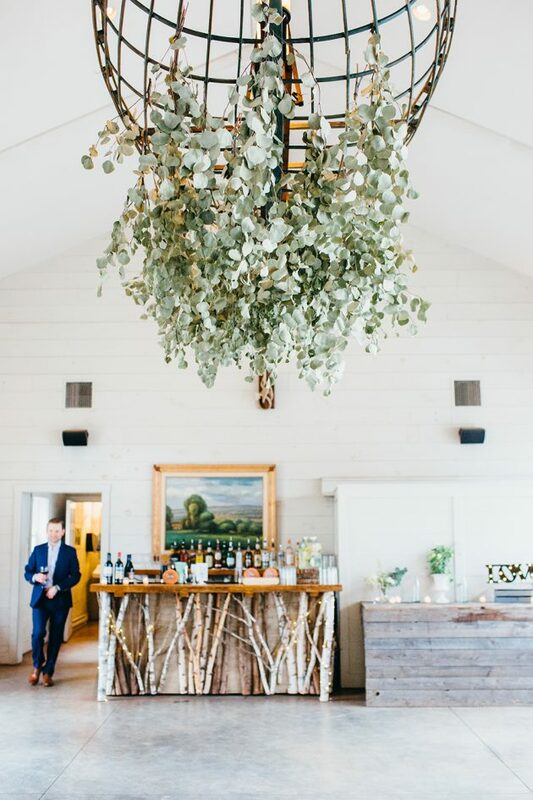 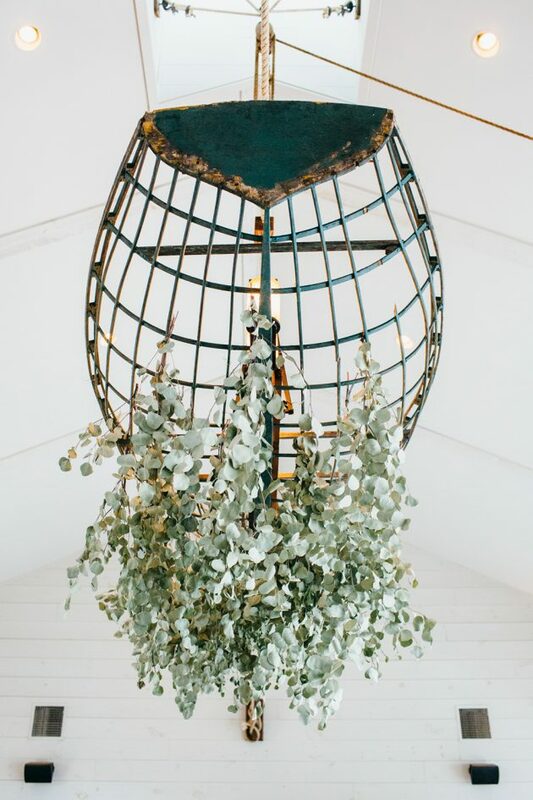 As the night unfolded guests gathered in the whitewashed barn to dance under the lights and hanging eucalyptus. 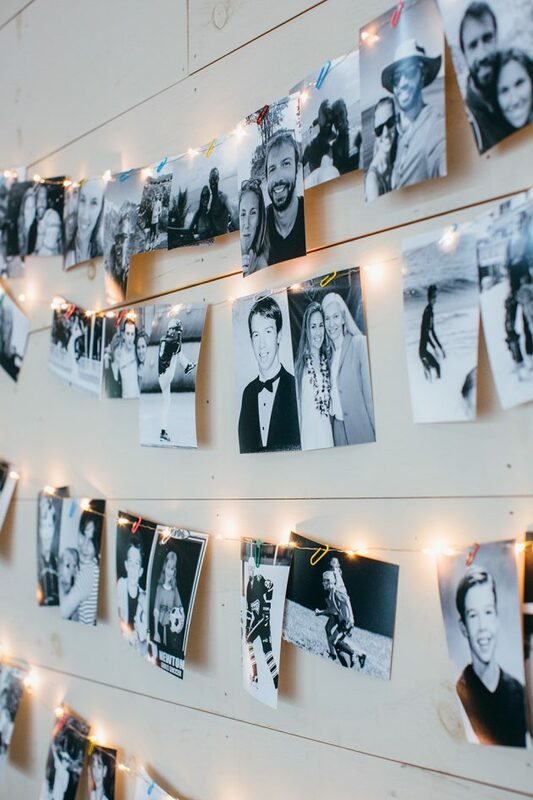 The evening was a success ending with a huge dance party and a s’mores “to-go” bag to continue the celebration at the outdoor fire pit. 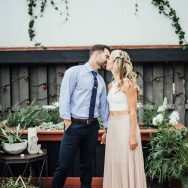 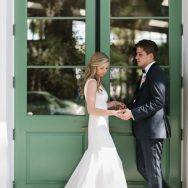 At the end of the night, they could both agree that the most important thing to them on their wedding day was planning an intimate affair, being surrounded by their closest friends and family and planning a celebration that was very personal to who they are. 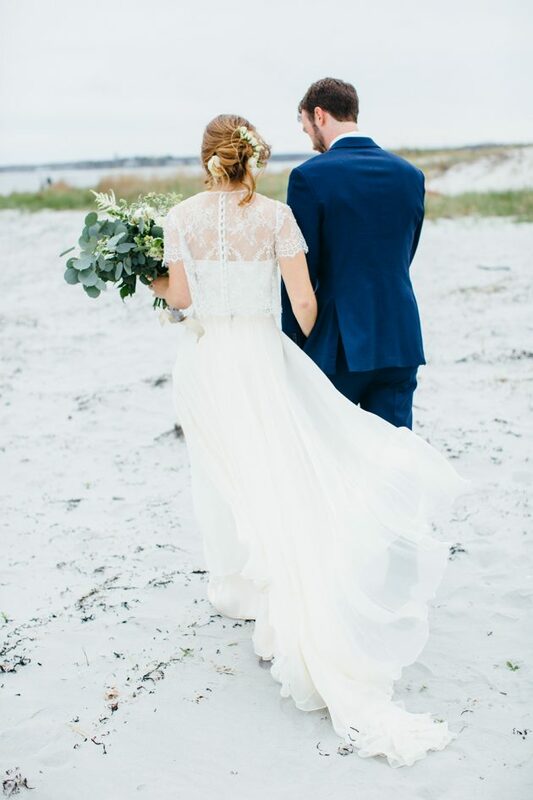 LOVE her dress, and this beautiful location. 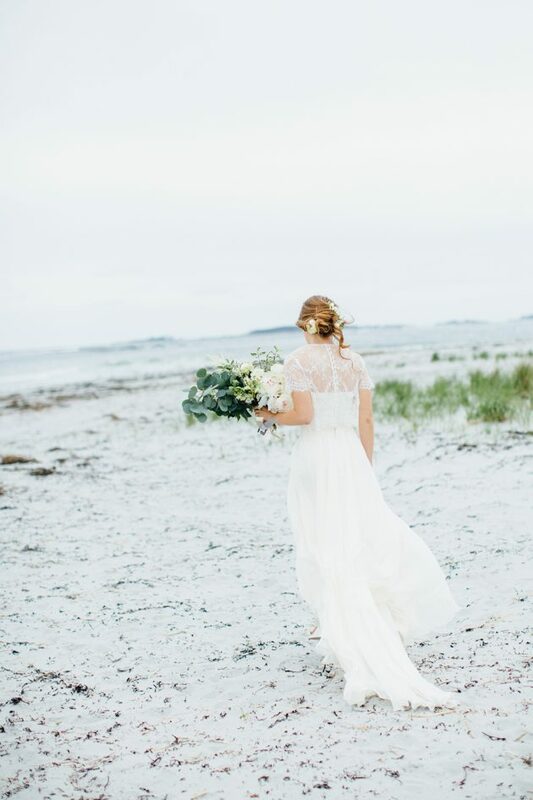 Makes me want to visit Maine!